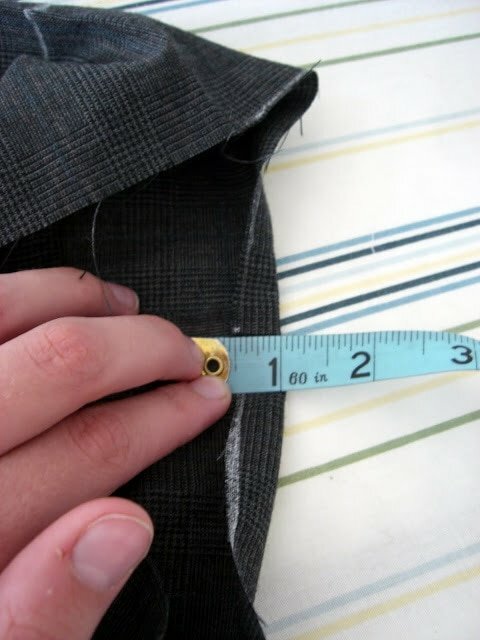 After pinned, measure from hem to fold. In this picture, my measurement is 3 3/4″. 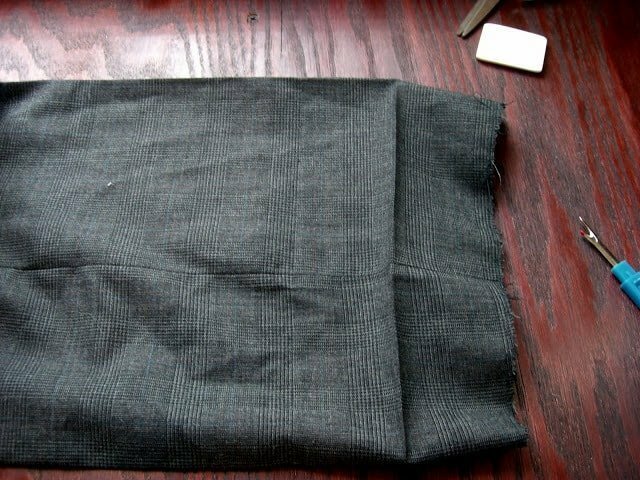 That means that I need to hem up the pants 3 3/4″. Use a ruler to mark a straight line across on the marks. 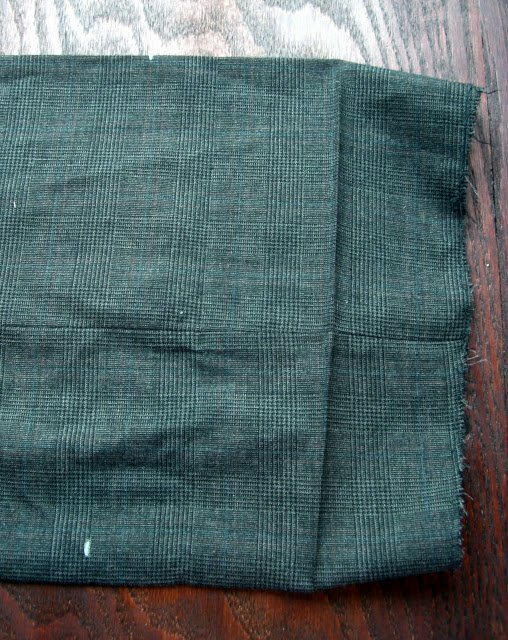 Mark 3″ down from the new hem-line. This is the cut line. 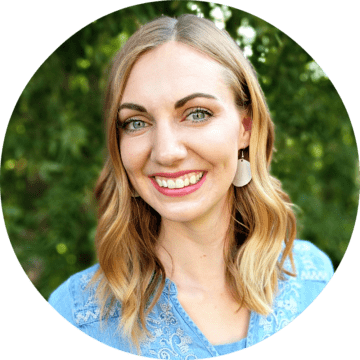 Cut on the cut line. 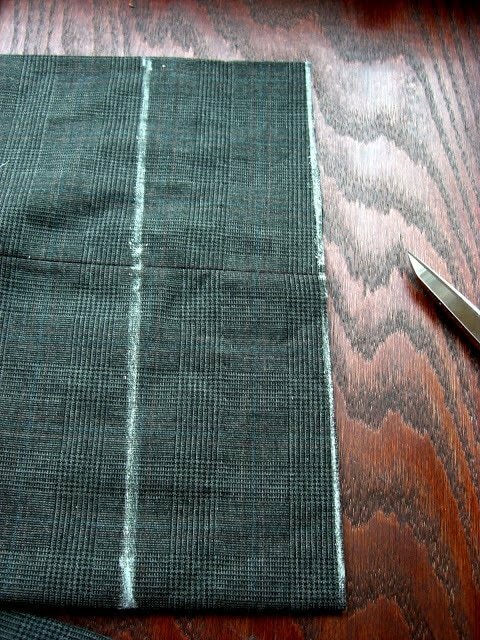 Fold the bottom edge over 1/2″ and iron. 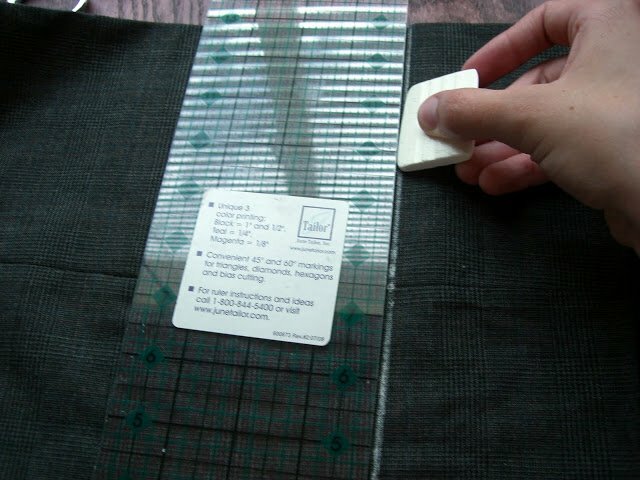 Do this to the whole bottom edge to finish the edge. 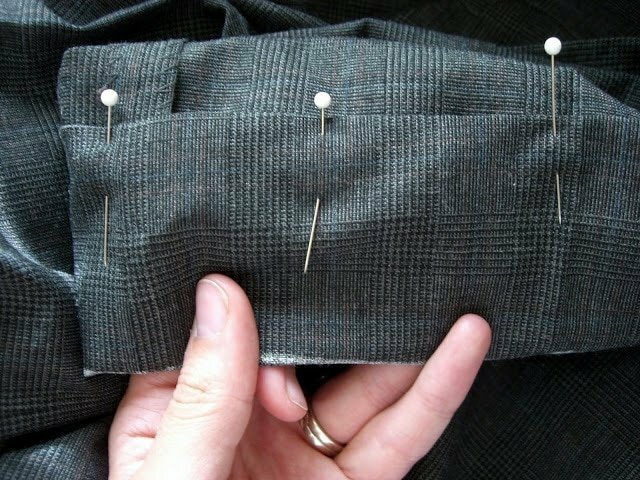 Fold the pants up at the hem-line and pin. 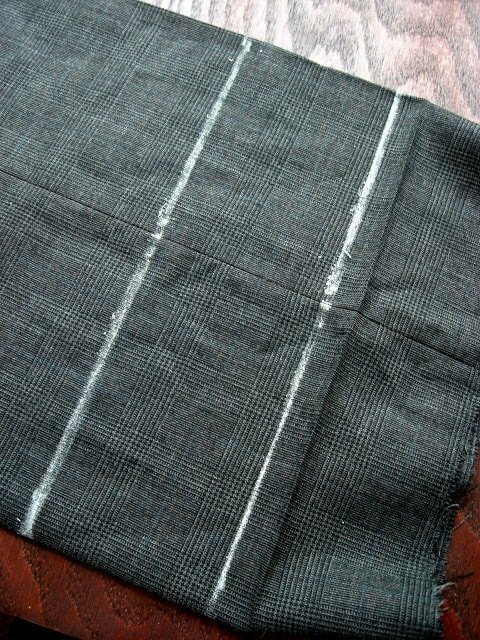 Hand-hem with a vertical stitch. 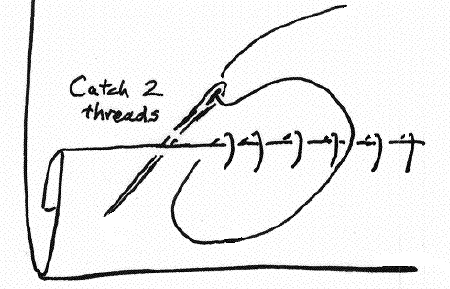 Here’s a great diagram to show the stitch I’m doing. 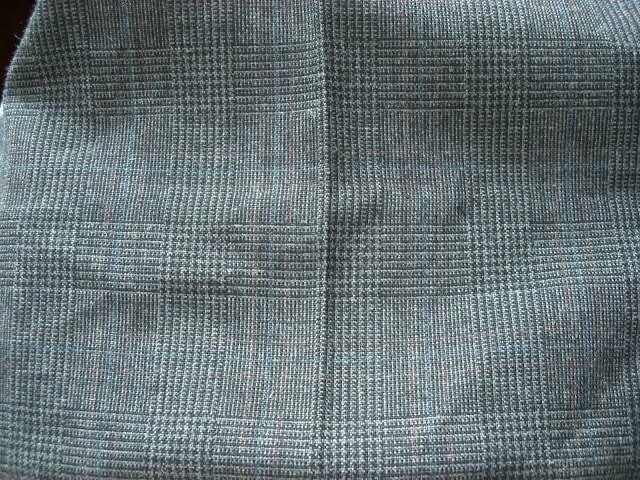 The finished hem. 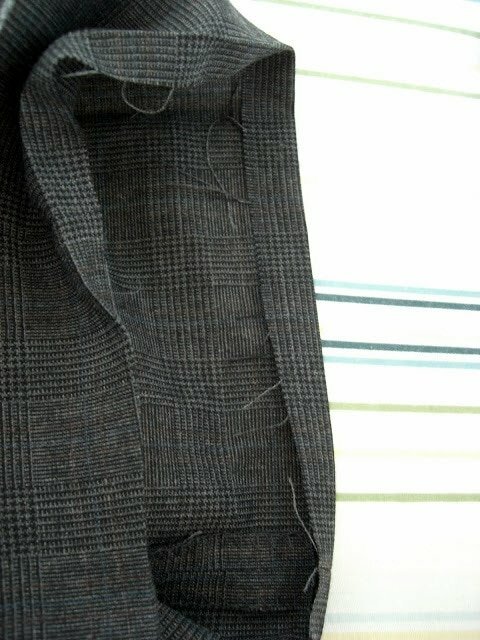 With this stitch, you can’t even see any stitching! I am having trouble with puckering along the front… it is a very long fold underneath though (we had to take the pants up 5.5 inches) and i am thinking that that fabric might be pulling at the front. what would you recommend? 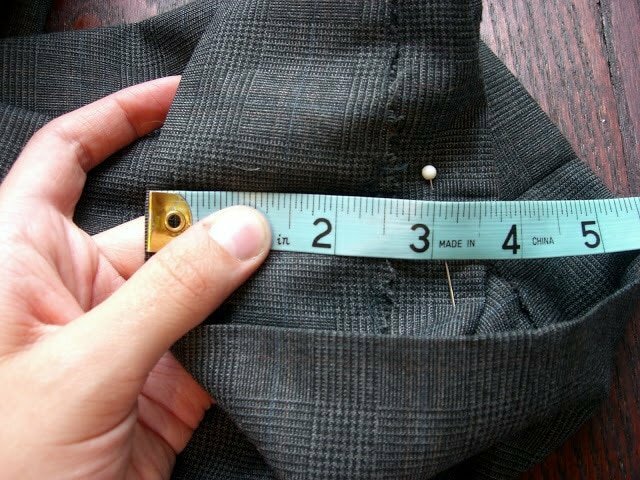 The puckering probably means that you shortened the pants so much that the hem is a smaller circumference the pants. 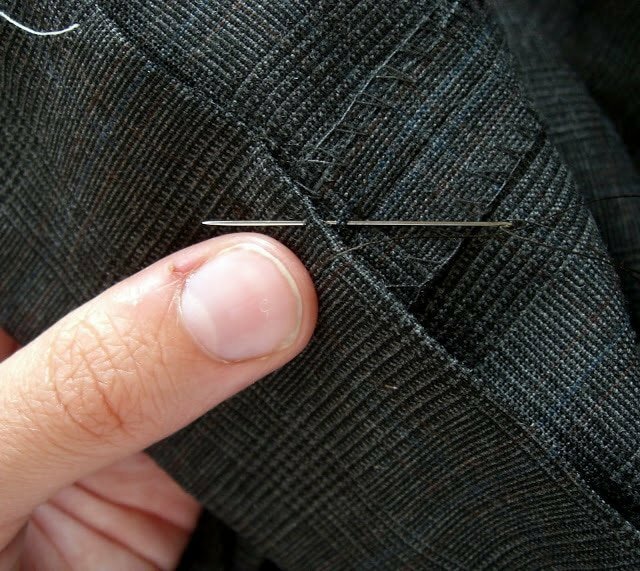 You will need to take out the hem, sew the sides in so that the hem and where the hem is sewn on has the same circumference.